Address: 201 E. Hawk St.
Great home! Close to the beach and friendly neighborhood! Love that the home had plenty of kitchen ware to use, first home we stayed in that had more than enough to cook and bake for a big family! The beach wagon/cart was a great idea, very helpful. Love all the decks, and the kitchen island. Nice having two areas for TV watching! This house is very clean and nice inside. The views of the ocean are great! 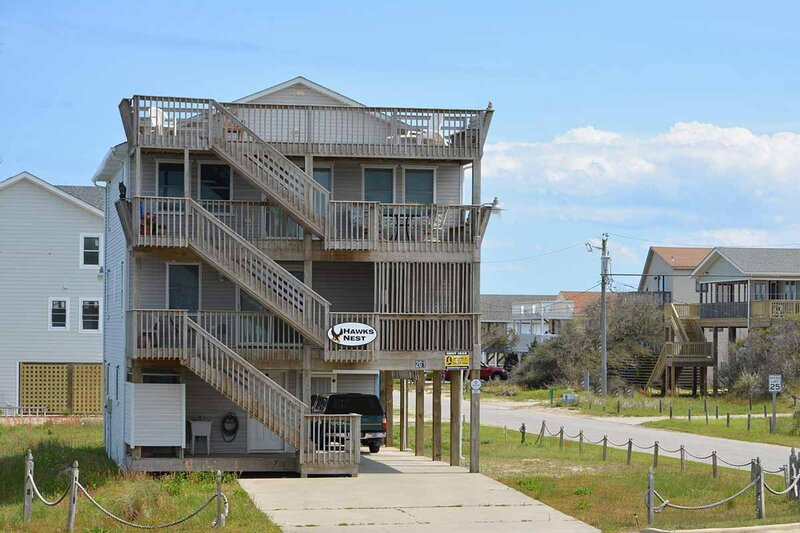 The proximity to the beach is excellent with a beach access about 5 houses away. The beach near this house is very nice and typically not very crowded. Perfect for 6 to 8 people. 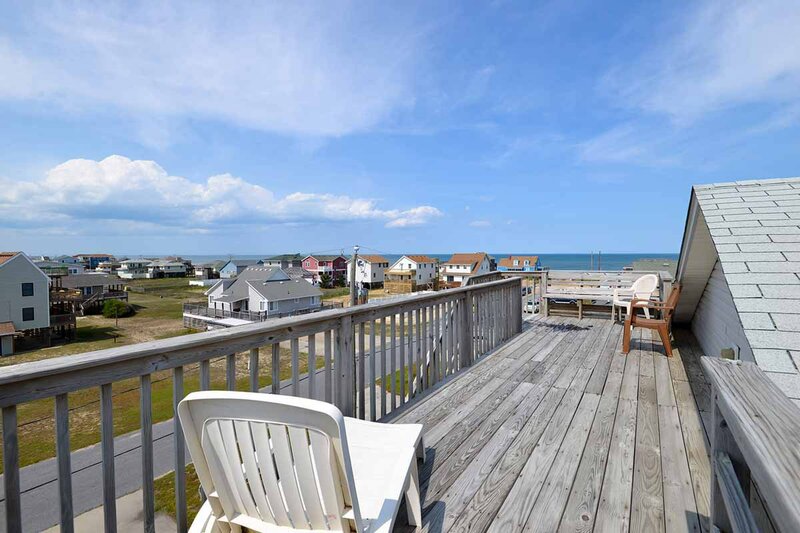 Great proximity to beaches and restaurants. Nice view of the ocean from 2nd or 3rd level. They provide a beach cart for lugging all of your beach chairs. We used that everyday!